The north east of England is not really home to many famous things. Calling the Angel of the North an icon in the area means that you hail a bunch of scrap-metal. Sunderland is a city that has been built around ship building but thanks to the kind people at Grosvenor the locals now have something else to be happy about. The modern Grosvenor Casino in Sunderland is dedicated to offering the best in terms of service and games for gamblers of all ages. The industrial feel of the city and surroundings cannot be sensed in any way once you set your foot inside this casino. Getting to and from this casino can be done by using the metro system, busses or driving there by car. By offering a nice selection of games and amenities the casino keeps up with the general notion that Grosvenor casinos are some of the best places to go and gamble. Unfortunately this casino does fall a bit short when it comes to the opening hours. The casino opens its doors at 12 noon and run all the way to 6am in the morning. This might seem like a small thing to complain about but 24 hour gambling is always the best option in my opinion. The gambling floor at the Grosvenor Sunderland Casino is not the most comprehensive one that we have visited lately but thankfully it covers all the basic casino games. Gamblers will find numerous tables that offer American Roulette and Blackjack. Alongside this the casino offers a decent amount of electronic gambling machines. Slot machines are more common in the north east than weird dialects and pints of ale - and that holds true for this casino too. Slots ranging from the most basic to the more advanced can be found all throughout the casino. The layout of the gambling floor is on that is similar to most other Grosvenor casinos, with the tables being right at the heart of the room and slots flanking the walls to maximize the amount of space for gamblers. Almost every major Grosvenor casino seems to be dedicated to the game of Poker and the one in Sunderland is no different. Daily cash games are flooded with local talent looking to make it big or just to bring home a few extra quid to bet on the upcoming football match. For more information on the Poker schedule visit the casino's website. Sunderland might not be known as a culinary Mecca in the UK but thanks to the Grosvenor Grill restaurant it is quite easy to find a great meal there these days. By this name alone it is quite easy to guess what type of food is on offer for gamblers. Sirloin steak, rib eye steak and fillet stake are used handsomely to create some of the best grilled dishes that you will find south of London. One of the nicer features of the restaurant is the other grilled dishes on offer - including grilled Sea Bass, Salmon and Pork. These dishes are complimented by a few curries, and vegetarian dishes to make it a very comprehensive menu. One of our favourite areas of this casino is the casino bar - a place where gamblers can relax and cool down after a long day of gambling. Some people might just need a break and with its great selection of cocktails, beers, wines and spirits there are few better places to go for a drink than the Casino bar. The Sunderland people love their sports - especially their football team - and you can clearly see this at the bar. The team's games will be shown on a regular basis and if you cannot make it to the Tyne-Wear derby then this is the place to watch it. The one thing that we are slightly disappointed with when it comes to the Grosvenor Casino in Sunderland is the amount of promotions. Unfortunately there are not that many in play other than the ones which you get from the Grosvenor Reward membership. What they do have is a series of great events coming up. The pride quiz will test your skills in trivia and for just �3 you get a bit of food as well. The Halloween party is also coming up, where you can play trick or treat and enjoy some spooky cocktails. Sports lovers in the area will be looking forward to the Derby coming up between Newcastle and Sunderland - an event which will become a big deal at this casino. Poker tournaments take place on a daily basis, with stakes starting at just �5. Some of the larger tournaments will have up to �30 as the by in and the money for these tournaments can get quite big. As an avid Newcastle fan and former Geordie I have to admit that it hurts my black and white heart when I write this review. For you - that is a good thing. 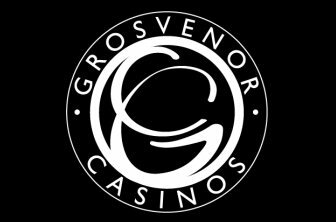 The Grosvenor casino in Sunderland might not be open 24 hours a day, but the time that it is opens the venue offers some great gambling for gamblers of all ages. The Grosvenor Casino in Sunderland is a casino that offers a good selection of the most basic things a gambler wants. The food and drinks are a great addition and allows gamblers to make a full night out of visiting the casino. The food is well worth mentioning again as it is one of the highlights at the casino. The occasional Poker tournament is always well worth visiting in order to thicken the wallet a bit. Overall the Grosvenor Casino in Sunderland is a fun and friendly place to gamble.